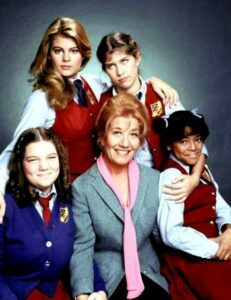 Charlotte Rae, best known as Mrs. Garrett on Facts of Life & Diff’rent Strokes, dies at 92, after a battle with cancer. Charlotte Rae’s representatives confirmed that Rae, best known to television viewers as Mrs. Garrett from the hit television show Diff’rent Strokes and its spinoff, Facts of Life, has passed away after a battle with cancer. She had been diagnosed with bone cancer in 2017. She was 92. Rae’s career spanned more than six decades. Though she was best known for her role as the lovable Mrs. Garrett, or Mrs. G, for short, she also had stints on shows like King of Queens, 101 Dalmatians: the Series, Good Times and All in the Family. Rae, survived by her two children, was found in her home in Los Angeles.